Commissioned by my lady's hairdresser, I was asked to replace on old dying pouch. 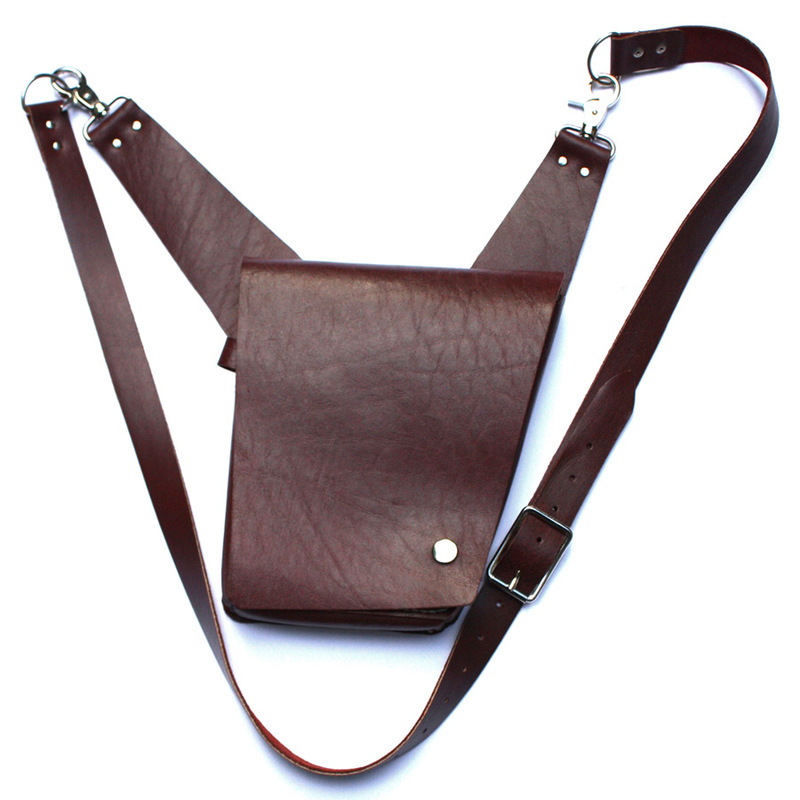 Inspired by a certain Star Wars gun holster I made a pouch which could either be hooked directly on your trouser belt loops or slung over your shoulder with the attached strap. With enough room for all the tools of the trade and a flap to keep them tidily away.